Looking for Free Car Repair Manuals? The Cooper Tire and Rubber Company has manufacturing plants in various states in the US and worldwide. An independent tire company, Cooper Tire reviews are both positive and negative in these days of so many tire competitors. Cooper Tire produces tires for passenger, light truck, SUVs, and commercial tires. They have offices located in Ohio, Georgia, Mississippi, Arkansas, England and China. In 1926, I.J. Cooper, founder of the company had three things in mind: Good Merchandise, Fair Play, and a Square Deal. Like most aftermarket tire company reviews, Cooper has had its share of recalls, especially in 2008. Like many independent tire manufacturers that make deals with automakers and large chain stores, Cooper is noticeably missing. It's true many independent tire companies of late have been absorbed by the Asian market, however, Cooper remains and to some, makes good tires at a great price. Notwithstanding their line-up of commercial tires, Cooper has received relatively good reviews on their passenger, light truck, and SUV tires. Cooper passenger tires include the CS4 Touring, the Cobra Radial G/T, The LifeLiner, and Trendsetter model groups. Each of these models are good buys for passenger cars, minivans, and crossover vehicles. Reviews have been in favor of the CS4 Touring, especially when looking at tire replacement. Endorsed by racecar driver Al Unser, the CS4 Touring has been quite impressive when it comes to tire mileage. Owners are reporting no tire replacements until, often, up to 60,000 miles. Other tires in the passenger group fared well in both city and highway conditions offering smooth and quiet rides. Only the Cooper Discoverer H/T Plus received excellent reviews for light trucks. Others in the light truck model group includes the Discoverer CTS, Discoverer AST, and the Discoverer S/T LT. Most buyers and drivers of Cooper light truck tires were impressed more with price than performance. Highway driving far outweighed city driving when it came to noises from these light truck tires, and although recommended for up to 50,000 miles, some of these light truck tires failed at around 30,000. The Zeon LTZ was specifically created with the SUV driver in mind. This 70,000-tread wear tire garnished a five-star review from owners. The Zeon offers a smooth ride, sporty look and is low on noise. Many SUV owners were happy with the pricing of the Zeon LTZ; half of what a major brand costs. To find a Cooper Tire dealer in your area, visit their Dealer Locator page. Keep in mind that most Cooper tires will not be found in large chain stores and are mostly sold by independent repair shops. Dealers are located throughout the US with a focus in the Eastern United States. If purchasing a new or used vehicle, you can ask your dealership or used car lot to buy and install Cooper Tires for you. 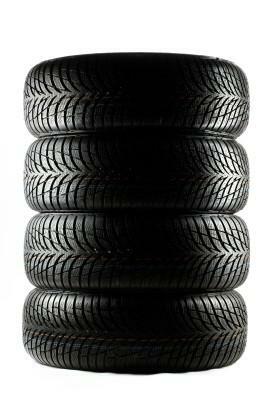 Cooper Tire and Rubber Company offers a tread warranty on all of the tires they produce. The warranty depends on the model and type of tire you purchase, but you must register your tire with Cooper in order for the warranty to be effective. The warranty explanation was not readily found on their website, however, they do offer a Tire Selector to help you make the right tire choice when buying. As more and more independent and aftermarket tire companies are being absorbed by tire giants, Cooper is still able to produce and maintain quality tires at affordable prices. In addition to the reviews listed in this article, Tread Depot offers Cooper Tire reviews for every model they produce.